There are plenty of foods to avoid if you're on the ketogenic diet, but sticking to a low-carb, high-fat lifestyle doesn't necessarily mean you need to say, "No, thank you!" next time your co-workers invite you to join them for a drink after work. 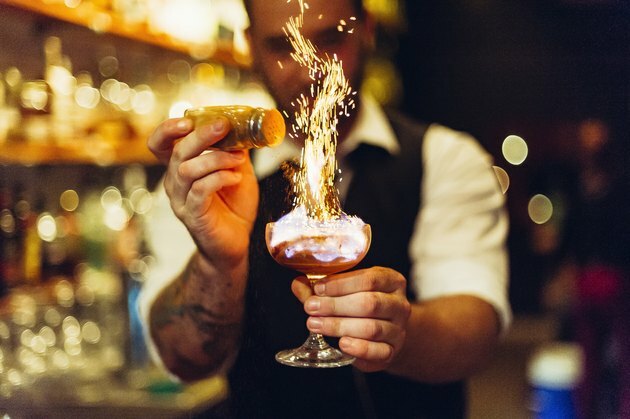 Instead, ask the bartender to make a few small swaps to ensure that your next happy hour stays, well, happy. Not only will you shave empty calories, but you'll also drastically reduce sugar and carbs. These eight keto-friendly, healthy cocktails have all of the flavor of the original recipes, without the unwanted sugar and carb hit. 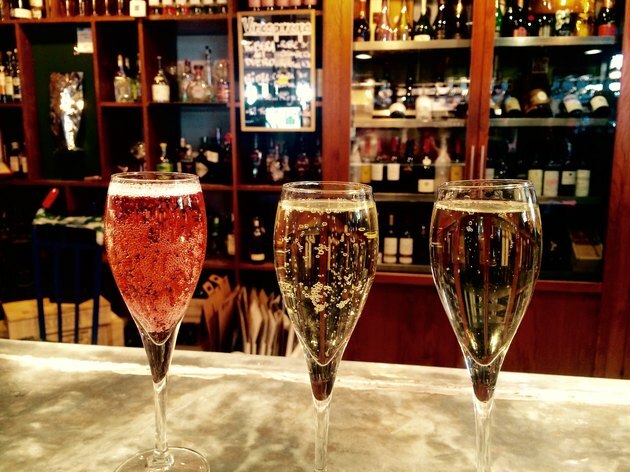 If you ask us, that's good enough reason to say, "Cheers!" Read more: Keto and Alcohol: Should You Drink on this Low-Carb Diet? This sweet-and-salty Mexican drink may quench your thirst after a basket of chips and salsa, but beware of a margarita's high sugar content. "The simple syrup, aka sugar, and the sugar in the salt around the rim do not work as they are pure carbs," says Amy Shapiro, a registered dietician and founder of RealNutritionNYC. "I would recommend subbing liquid stevia for the sugar — a few drops should do the trick — and just using sea salt for the rim without sugar added." 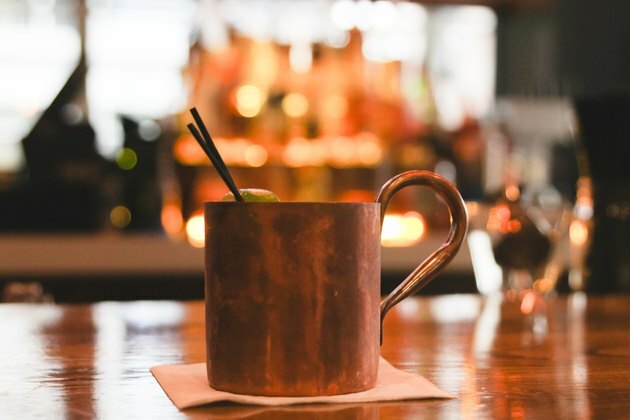 The original recipe for this 1940s throwback contains ginger beer, lime and vodka, but Shapiro's new-and-improved version of the Moscow Mule gives the libation a healthier twist. "I recommend removing the ginger beer, which has sugar in it just like soda," she says. Instead, she suggests, "Add club soda with ginger, grated through cheese cloth to create fresh ginger juice. This provides all of the flavor but none of the sugar. If more sweetness is needed, just add some stevia." This popular Cuban cocktail mixes fresh, crushed mint, lime, soda and sugar to create a refreshingly sweet flavor. 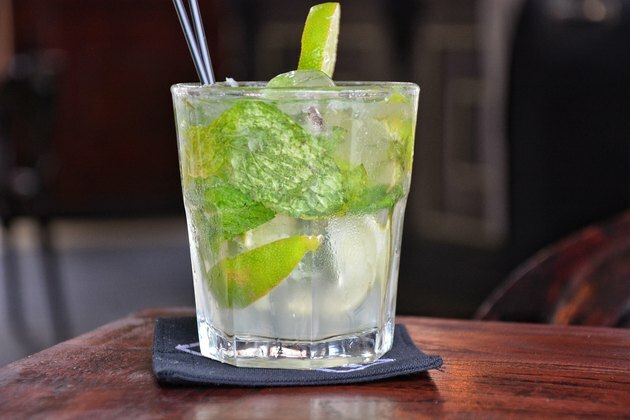 However, since sugar is a key ingredient in a mojito, Shapiro strongly recommends giving the drink a much-needed makeover. "Swap stevia for the sugar to eliminate additional carbs," she says. 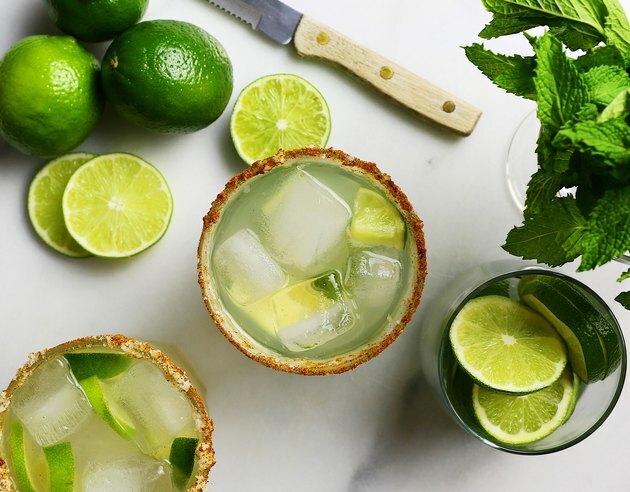 "I love the use of fresh mint for natural sweetness, but I would also add extra lime to enhance the flavor." Rather than deny yourself the pleasure of a champagne cocktail at your next black-tie soiree, just cut out the classic sugar cubes to create a keto-friendly version instead. "Swap out sugar for stevia," says Shapiro. "Then just drop the bitters into the drink instead of soaking a sugar cube with it." 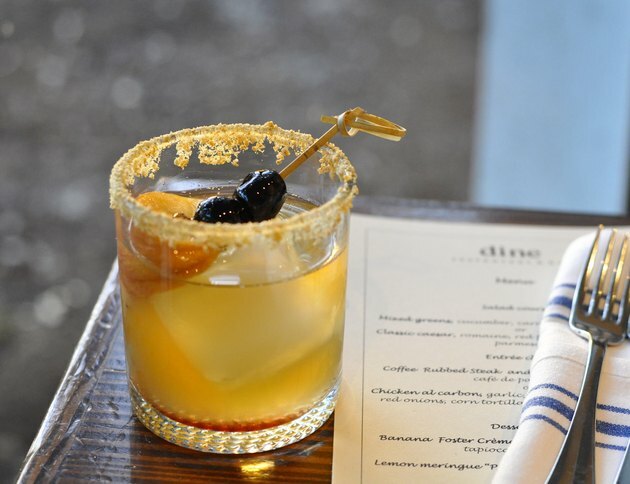 This all-time bar favorite contains maraschino cherries, simple syrup, lemon juice and, of course, whiskey. 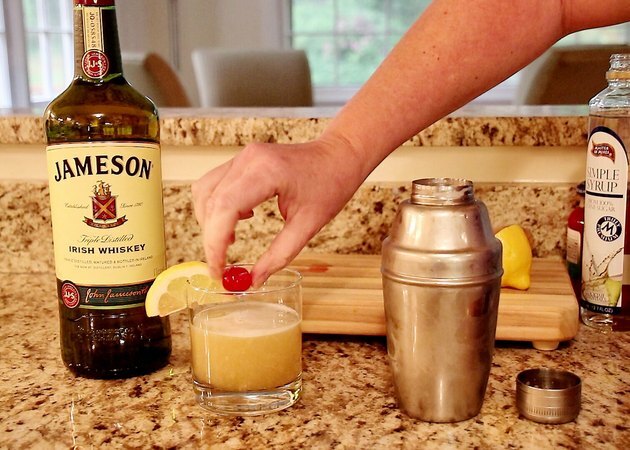 Make your next whiskey sour extra-enticing by adding fewer processed ingredients. "Swap out simple syrup for liquid stevia," says Shapiro. "Make sure to use a fresh not a maraschino cherry to avoid food coloring, chemicals and excess sugar. Garnish with lime for added Vitamin C."
The old fashioned is a cocktail made by mixing sugar with Angostura bitters, then adding brandy or whiskey and, finally, a twist of citrus rind. To keep your diet in check, Shapiro recommends skipping real sugar mixed with bitters entirely. "Swap out the sugar with stevia here," she says. You'll barely even notice the difference, thanks to stevia's uncanny ability to mimic the real thing. Although this drink isn't incredibly high in sugar or carbs, Shapiro is quick to point out that there is always room for improvement. 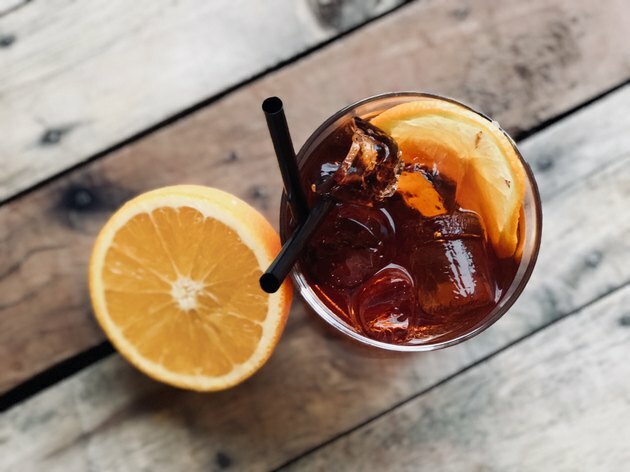 That said, the New York-based nutritionist has several suggestions to make your next negroni go down even easier. "I would take out the sweet vermouth as it does have sugar and carbs," she says. "Use extra dry vermouth and a little liquid stevia or an orange rind instead. Extra dry vermouth has only a trace of carbs per ounce versus four carbs per ounce in sweet vermouth." Once again, simple syrup almost sabotages the French 75 by unnecessarily raising the carb and sugar content. Thankfully, you can easily give this elegant drink a low-sugar makeover by making a few minor substitutions. "Swap out the simple syrup for liquid stevia," says Shapiro. 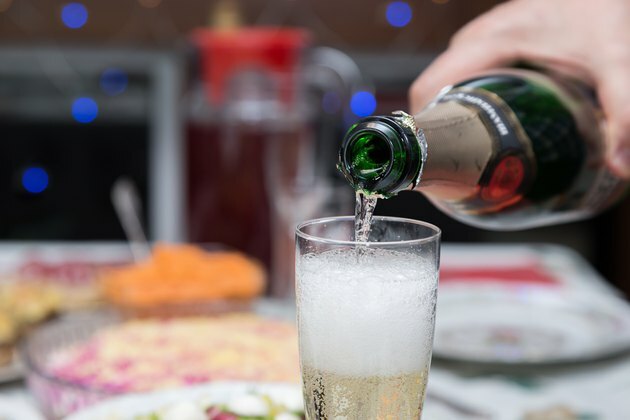 "Also, if you want to get rid of the champagne because it has a bit of carbs, you can add club soda to this for bubbles instead."